In my previous post “Backing Up The Backups” I mentioned I would cover how I push my backups to an offsite location to cover a physical loss scenario (fire, theft, etc). 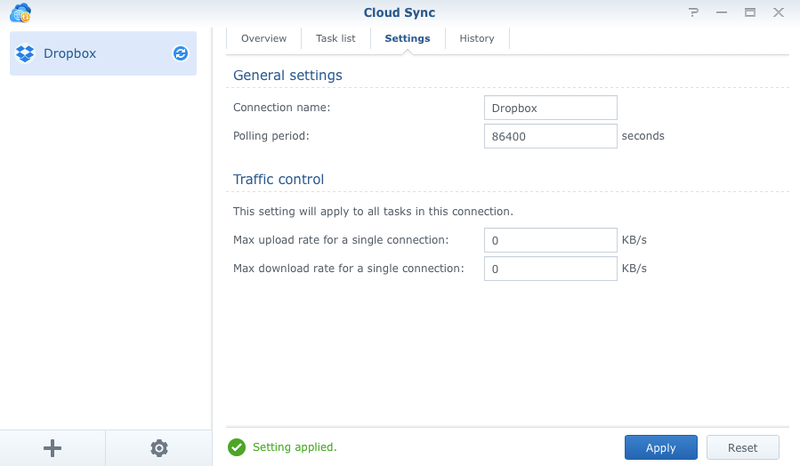 This post explains how to setup Cloud Sync on a Synology DiskStation to push data to Dropbox. 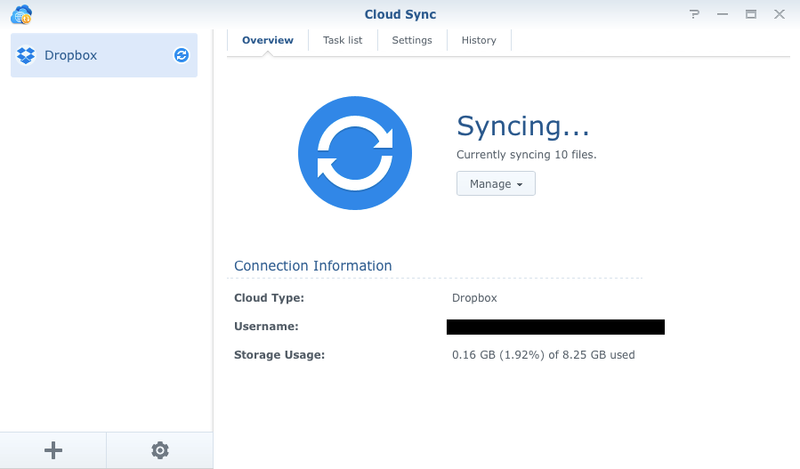 I have a directory on my Synology Disk Station NAS which is periodically synced to an offsite source. In my case, I’m using Dropbox, but there are several you can choose from. I’m not worried about the security. 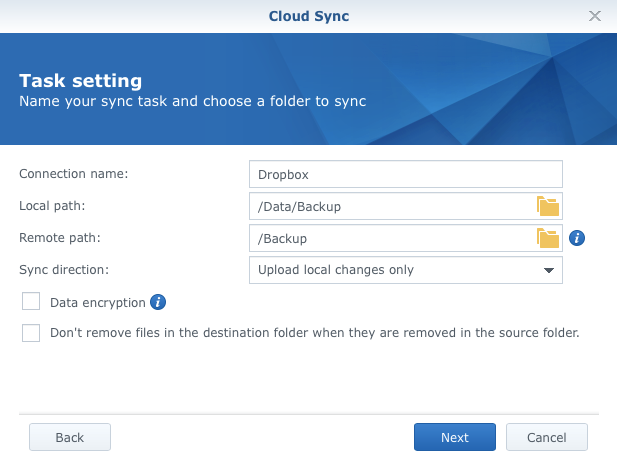 Dropbox has good security, encryption, and two factor authentication. 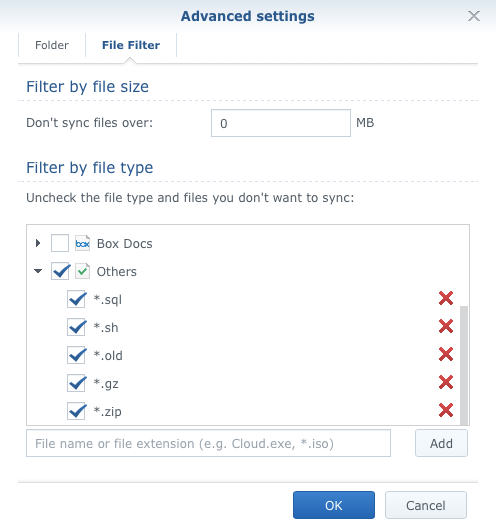 On top of that, the files I push to Dropbox are already in an archived, compressed, and encrypted form (with a very long key). So even if my Dropbox were compromised, the files are useless to anyone. One thing to note here. 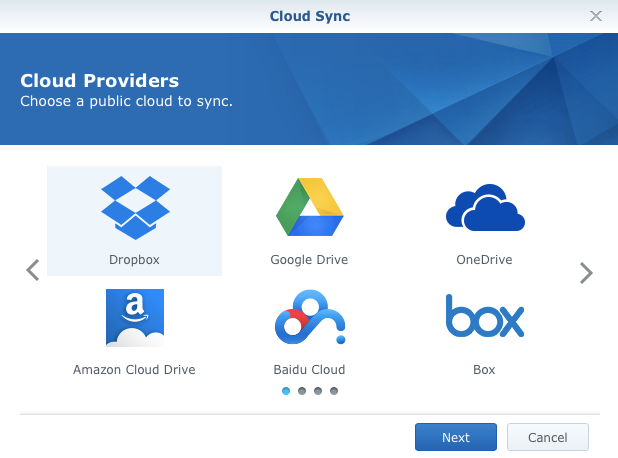 If you don’t have enough online storage at one provider, you can setup syncs to multiple providers, and carefully define which NAS directories are synced to them in order to spread the data across providers. In my case, I have enough space at Dropbox to meet my needs. 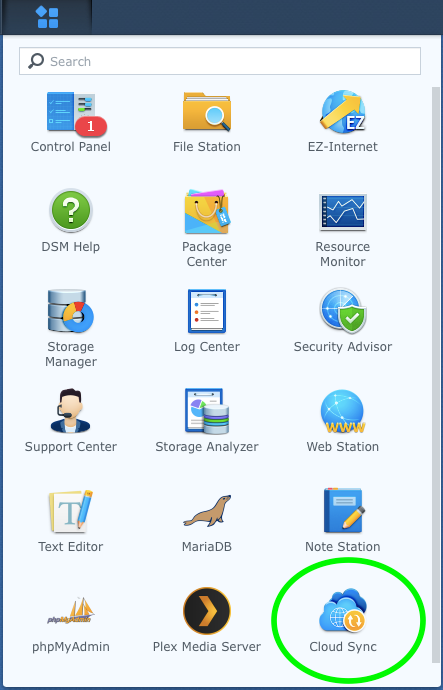 This will demonstrate how to mount a VirtualBox VDI hard disk image natively in Mac OS X. Why? 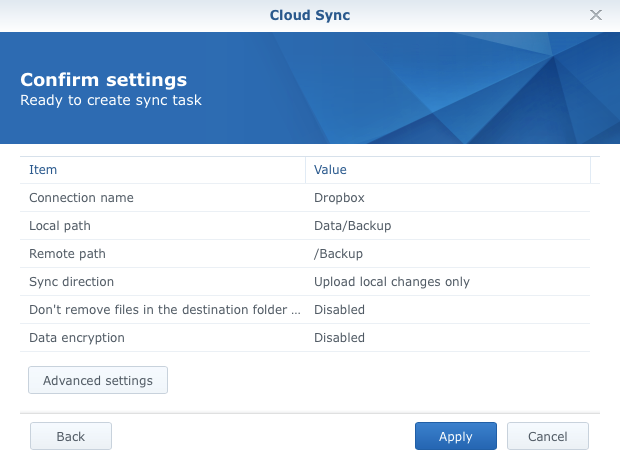 It’s a convenient way to add and remove files in the VDI image. With some creativity you could also create a backup of the files inside the VDI image, rather than just the image itself. To do this, I will use the Mac OS X utility hdiutil. No additional software is required. First, a standard disclaimer! By following this procedure your data is at risk! You accept ALL risk by following this procedure. You are not forced to do this. When in doubt, make a backup of the original VDI image first. If you are not comfortable using the Mac OS X command line, do not attempt! 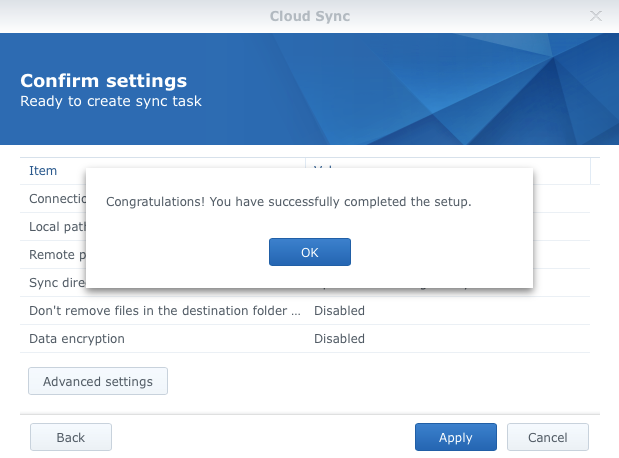 Second, you will most likely only want to use this with statically sized VDI files, and not the dynamically sized ones – especially if you are going to write to the image! 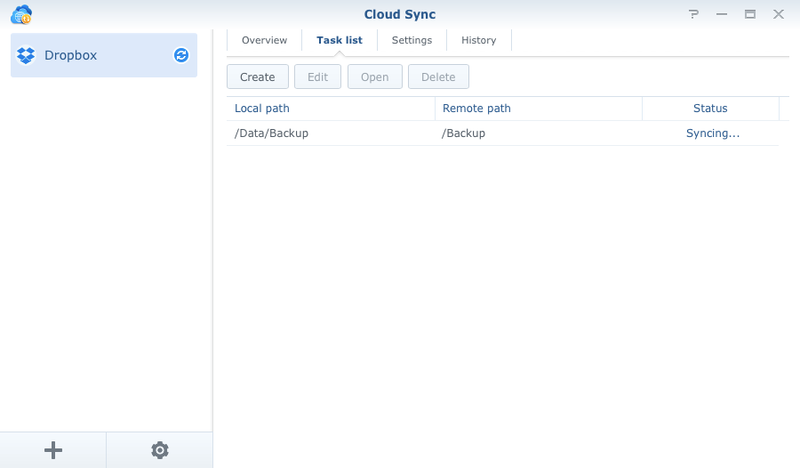 Third, make sure the virtual host the VDI image is attached to, is NOT running! OS X’s hdituil can mount the images natively. However, the VDI image header includes information that hdiutil doesnt want. You will need to find the start location of the data. From the OS X command line, change to the directory where the VDI is stored. Quick and dirty, you can use hexdump. Or you can find the header size by examining the 4 bytes at 0x158 (344), in this case the bytes are in reverse order (00 00 20 00). Data bytes show that data starts at 0x200000, and is confirmed visually. hdiutil attach requires start offset definition in sectors. Divide byte offset by sector size to get sector number. 0x200000 (2097152) / 0x200 (512) = 0x1000 (4096). drwx------ 8 user staff 272 Feb 1 20:57 .
drwxr-xr-x 5 user staff 170 Jan 31 22:46 ..
drwxrwxrwx@ 1 user staff 16384 Jan 31 13:17 .
drwxrwxrwt@ 4 root admin 136 Feb 1 20:58 ..